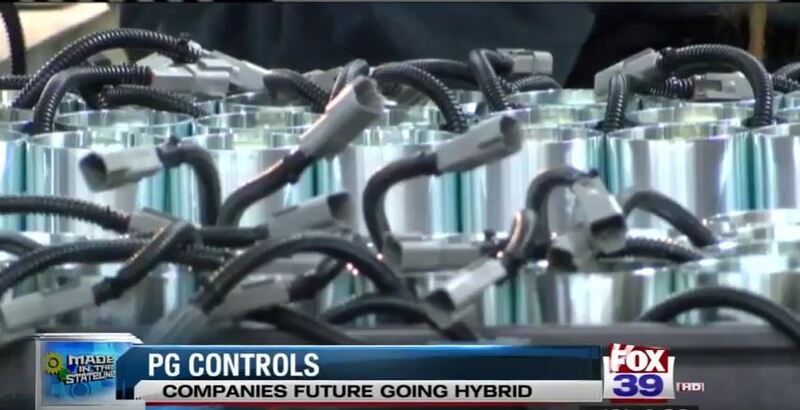 PG Engineered Control Solutions has moved – and it’s very exciting that this change was featured by WTVO, a local Rockford TV station, in their segment “Made In The Stateline” which aired on Thursday, Feb 9, 2017. Why the move? At its heart, PG’s move was about the future, and about our customers’ futures. We continue the design, development and test efforts that will allow our customers to make the most of Hybrid Electric Vehicles, or HEVs. While our former building served us well, we simply couldn’t maintain production of our engine speed control-focused products while developing, testing and selling our HEV systems, at least not in the footprint we had. In the end, the momentum of interest in our HEV offering propelled us to a bigger and better facility, one that enables us to meet the needs and requirements of our customers. There are so many exciting things happening here at PG on the HEV front! Watch this space over the coming weeks and months for further information about PG’s plans to support its customers – and their end users! – with the products and systems they need to make the most out of hybrid electric systems.